"What were you doing in my house?" "I heard a scream." Vertical Entertainment has debuted the official trailer for a low-key thriller titled The Neighbor, from director Aaron Harvey. The indie drama stars the very talented character actor William Fichtner (last seen in 12 Strong, Elysium, The Lone Ranger, Drive Angry, The Dark Knight) as a reserved man stuck in a stagnant marriage whose life is upended when an attractive young woman and her husband move in to the home next door to them. The cast includes Jessica McNamee, Jean Louisa Kelly, Michael Rosenbaum, Colin Woodell, and Erich Anderson. I can't tell if there's a big twist in this, but it seems like a solidly engaging friendly-neighbor thriller. Check it out. 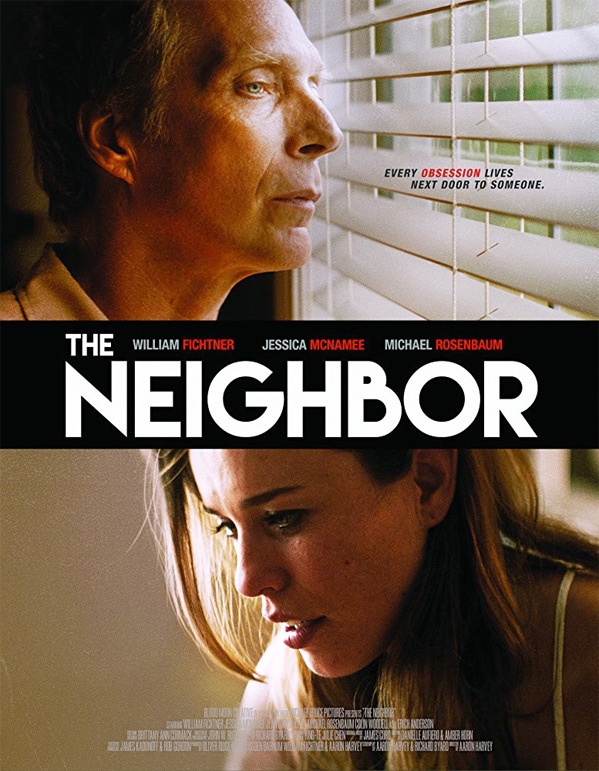 A middle-aged man (William Fichtner) in a stagnant marriage becomes voyeuristically obsessed with an attractive young woman (Jessica McNamee) when she and her seemingly abusive husband move in next door. 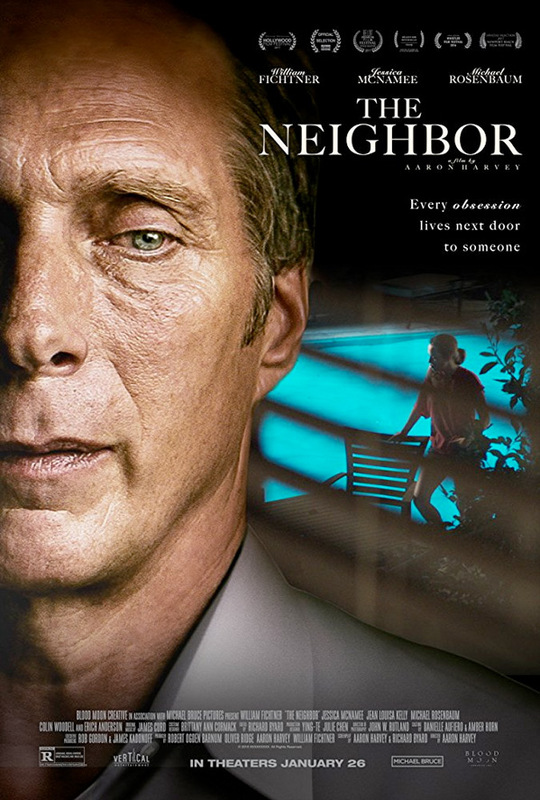 The Neighbor is directed by American filmmaker Aaron Harvey, of only the action film Catch .44 previously. The screenplay is written by Richard Byard and Aaron Harvey. This hasn't premiered or played at any film festivals or otherwise. Vertical Entertainment already released Aaron Harvey's The Neighbor in select theaters + on VOD starting January 26th, 2018 this month. Anyone interested in seeing this film?